Inside the watchtower, Mr. Nath pulls on his boots, slings a rifle over his shoulder, straightens out his uniform shirt, and heads for the stairs. He’s one of eight forest guards stationed at Kuri Beel anti-poaching camp inside Manas National Park, Assam, India and he is off on a mission this morning. Mr. Nath joins a crew of forest guards setting off from the watchtower as they fan out into the surrounding grasslands. Their long sleeves and pants defend them against blades of grass that tear at bare skin. But these tall grasses potentially conceal a much greater danger still—poachers. 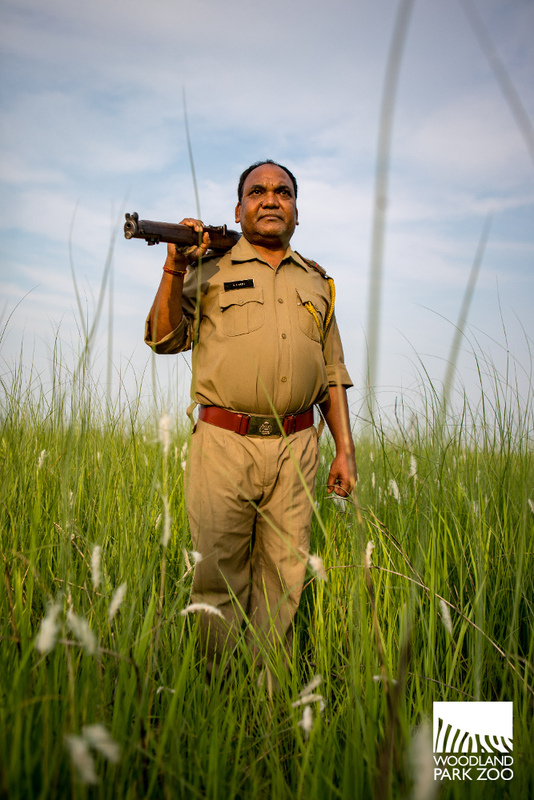 Mr. Nath is a forest guard in India's Manas National Park. On foot and sometimes on elephant back, forest guards patrol day and night in search of signs of intruders. They look for evidence of human activity—a breached fence, footprints, discarded litter from an illegal poacher encampment. 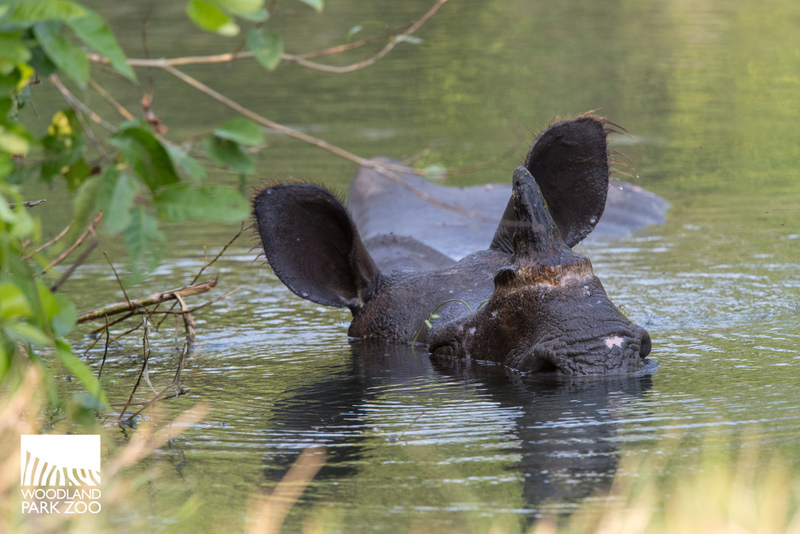 Their morning patrols last two to three hours, and today reveals no signs of trouble for the rhinos and other vulnerable species poachers target in Manas. 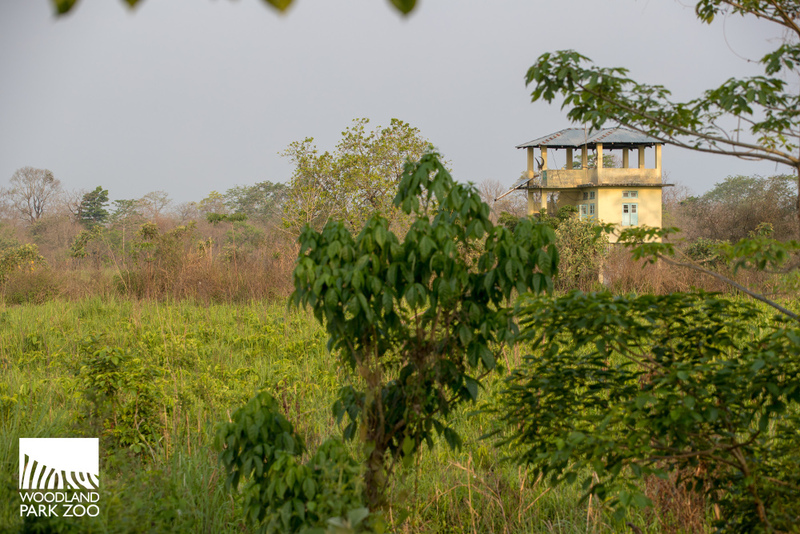 “Forest guards man the anti-poaching camps both inside and outside the park,” explains Bibhab Talukdar, Asia Coordinator of the International Rhino Foundation, Woodland Park Zoo’s partner in rhino conservation in India. Generally, three to eight guards are stationed at each camp, living on site during their duties to assure there is 24/7 coverage in strategic locations throughout the park’s 235,000 acres. 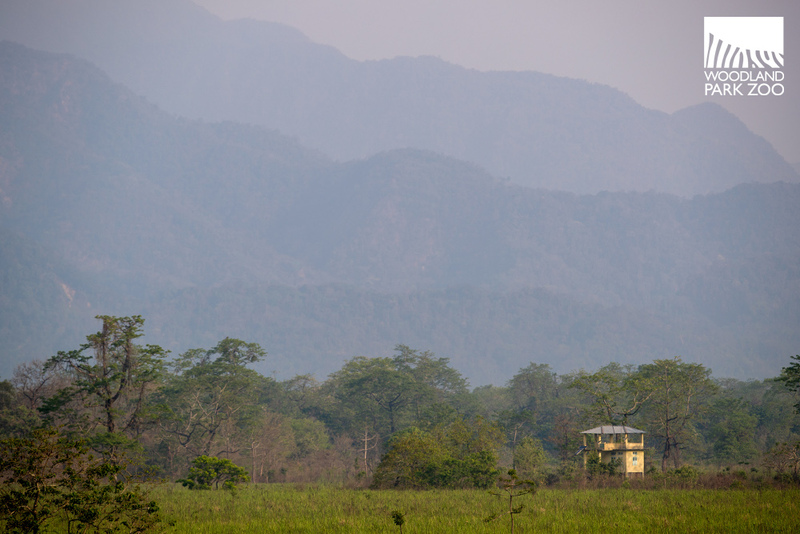 The Kuri Beel watchtower in Manas National Park. One of the larger stations, Kuri Beel camp is centered in the southern grasslands of the park. From the watchtower roof, those grasslands seem to go on forever, the forests and foothills of Manas far off in the distance. Even with a 360-degree view, most wildlife is lost to the naked eye in the vastness from up here, save for elephants, water buffalo and rhinos that occasionally appear as specks in the expanse. And yet, little goes unseen by these guards. 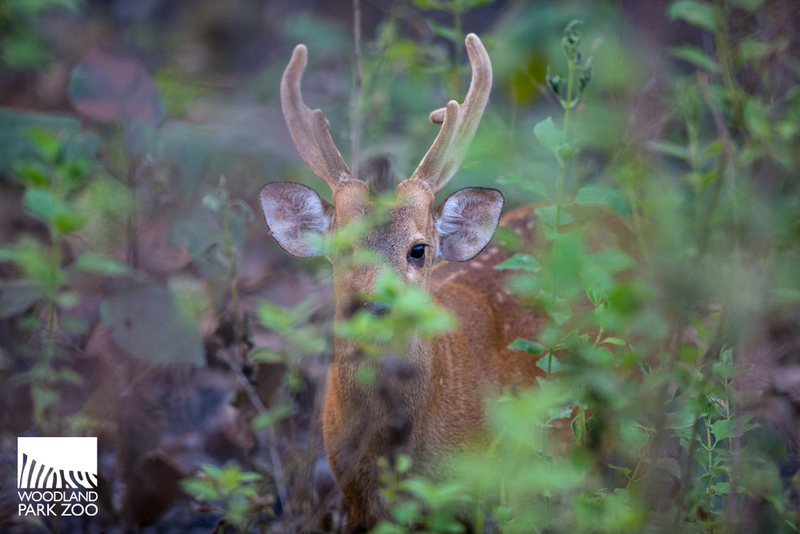 Their tools include binoculars, walkie-talkies, GPS units and transmitters, but it’s their deep knowledge of the area, its animals and its patterns that makes the forest guards so effective. They are the eyes and ears of the park, monitoring all wildlife and tracking everything from the behavior of individual animals to the dynamics of entire populations. “Today we saw many vultures, so we went to the area and found one buffalo had died,” explains one forest guard who has worked in Manas for 36 years. He has been an eye-witness to the dramatic changes the rhino population has overcome. 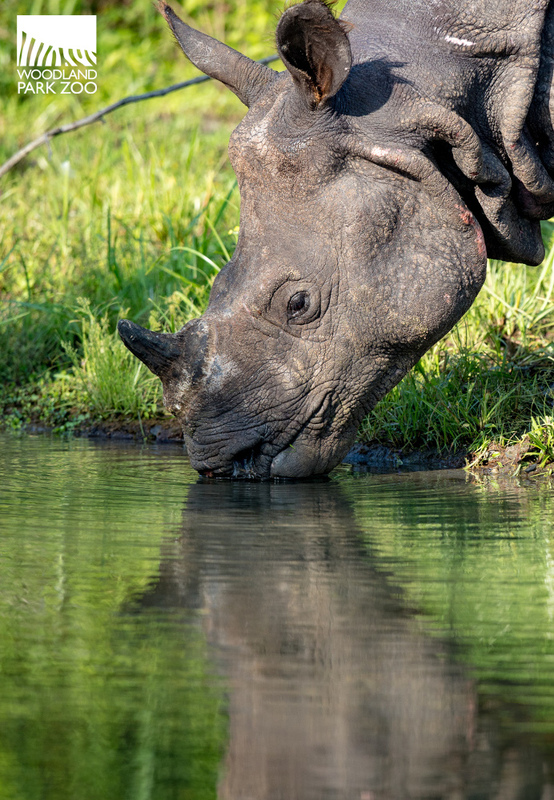 “When I first joined Manas in 1981, rhino could be seen in many watering holes—sometimes up to 4-5 rhino. Many wild animals were present. But due to unrest in the area 15-20 years ago, rhinos were exterminated by poachers,” he explains. A greater one-horned rhino in Manas National Park. In the 1990s, socio-political unrest in the region demanded the attention of law enforcement, and poachers took advantage. Rhinos were hunted to extinction inside Manas National Park. Poached rhino horn is sold illegally on the international market where it is valued for traditional medicine despite having no medicinal properties. Rhino horn is made of keratin. So are toenails. But hope was not lost. 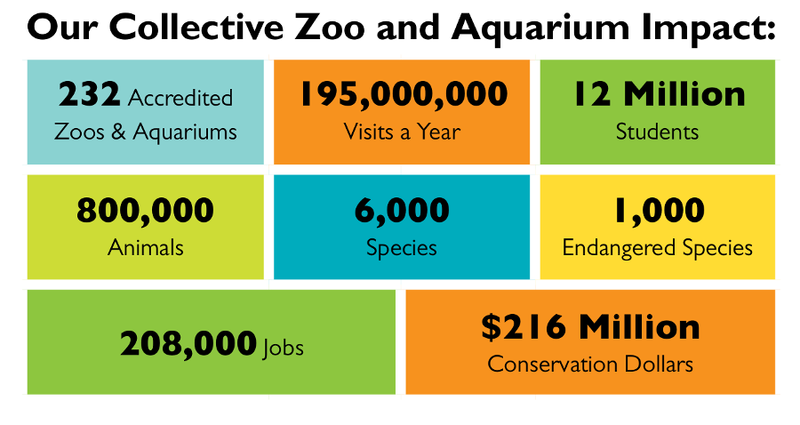 Woodland Park Zoo has joined the International Rhino Foundation, national and regional Indian governments, and other partners including U.S. Fish and Wildlife Service in the effort to rebuild stable rhino populations across Assam. Over the past decade, these partners have successfully translocated several rhinos to Manas from more populated nearby parks. One by one the rhinos are returning, and as they settle in, breed and establish territories, they are forming a new generation of rhinos in Manas. With the return of rhinos comes the return of interest from poachers, and conservation success is met with a heightened need to protect and defend that success. The guards are undaunted and their vigilance is paying off. 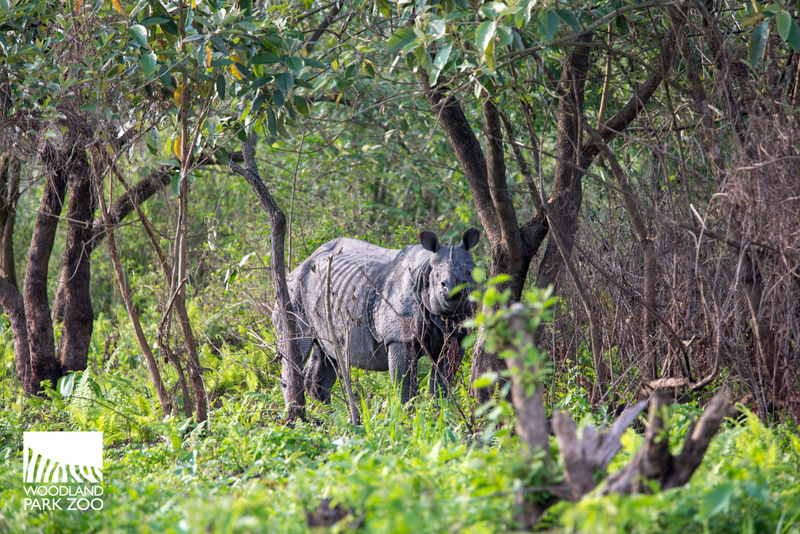 A rhino retreats into forested shade at Manas National Park. It’s a point of pride for the forest guards that their work makes a brighter future possible for all wildlife in the park, not just rhinos. 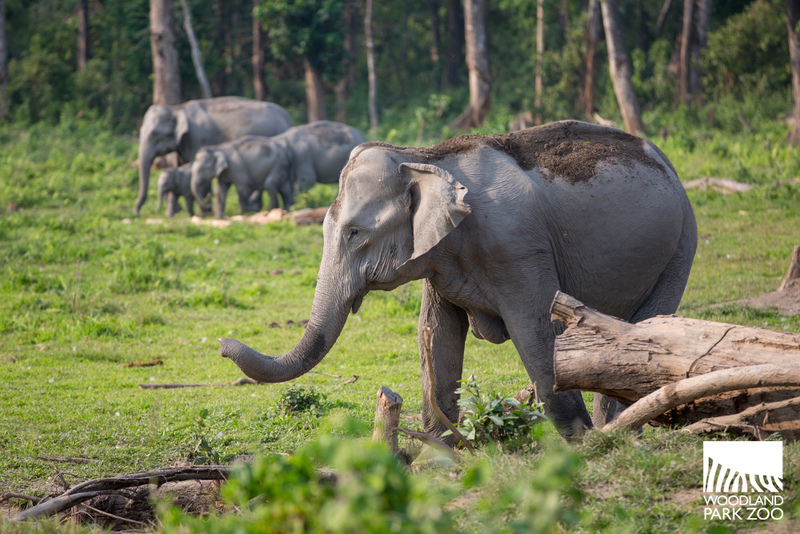 A family of elephants in Manas National Park. It’s 2:00 p.m. and the sun is hot. By this point in the day, most of the rhinos have retreated into the forest for shade or are cooling off in watering holes. But the forest guards don’t rest. It’s time for another patrol. 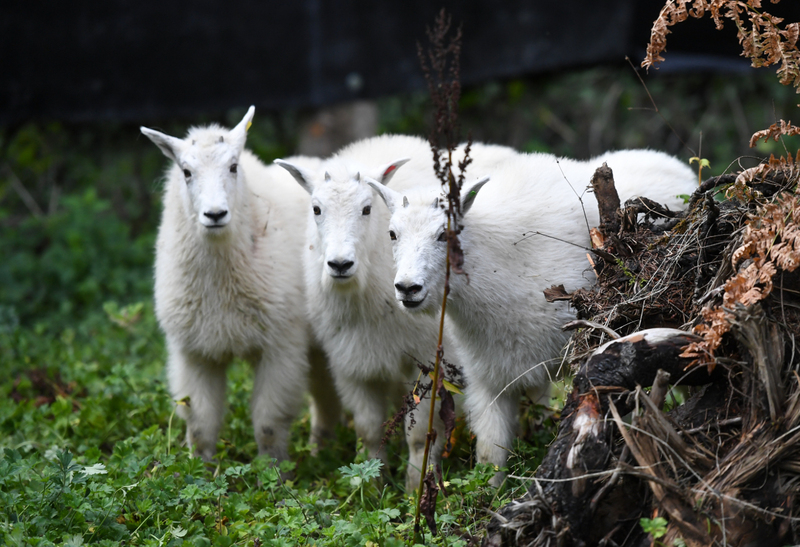 These male mountain goat kids whose mothers could not be found will have new homes at Northwest Trek Wildlife Park, Woodland Park Zoo and other zoos. 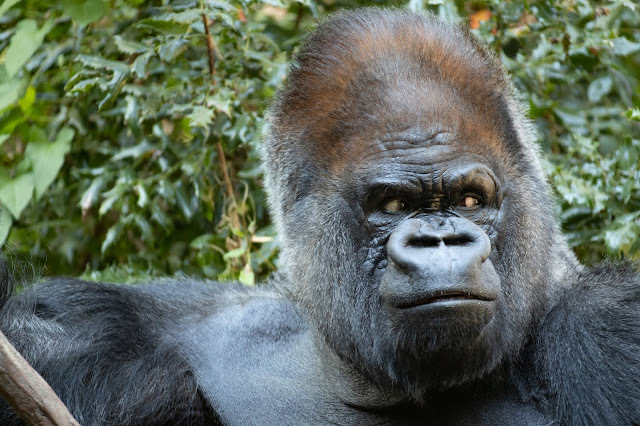 Photo courtesy of Northwest Trek Wildlife Park. 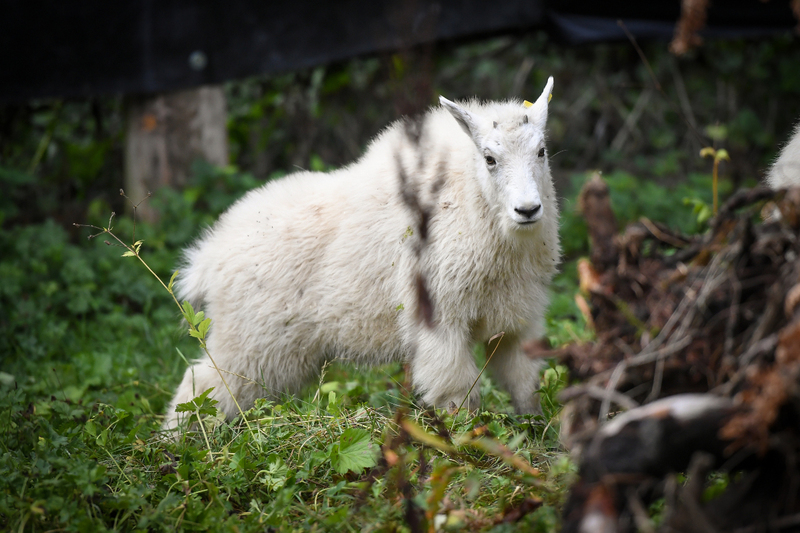 As state and federal agencies move non-native mountain goats from Olympic National Park to the northern Cascade Mountains, Woodland Park Zoo is partnering with Northwest Trek and Oregon Zoo to provide permanent homes to goat kids without known mothers. Northwest Trek Wildlife Park veterinarian Dr. Allison Case joined a team of state and federal veterinarians at Hurricane Ridge in Olympic National Park this week to examine the mountain goats, conduct physical exams and provide preventative and supportive care before their translocation. Case and Northwest Trek veterinary technician Sara Dunleavy set up a temporary clinic to focus on the goat kids. Working swiftly, they examined each one, recorded its weight, determined its gender, placed a microchip and ear tag, collected blood, took cultures and nasal swabs to check for disease, and administered vaccines and antibiotics. 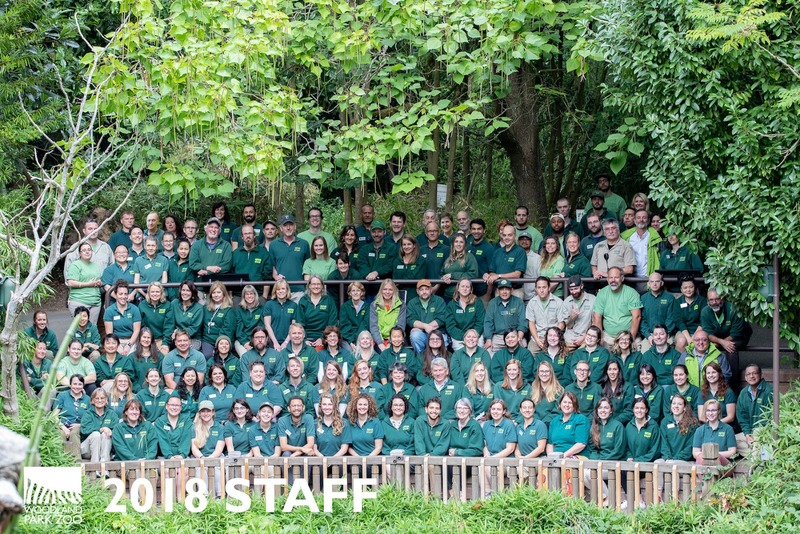 Oregon Zoo staff are coordinating placement at zoos for additional goat kids. Our animal experts are teaming up to assure a smooth transport and relocation for the kids. 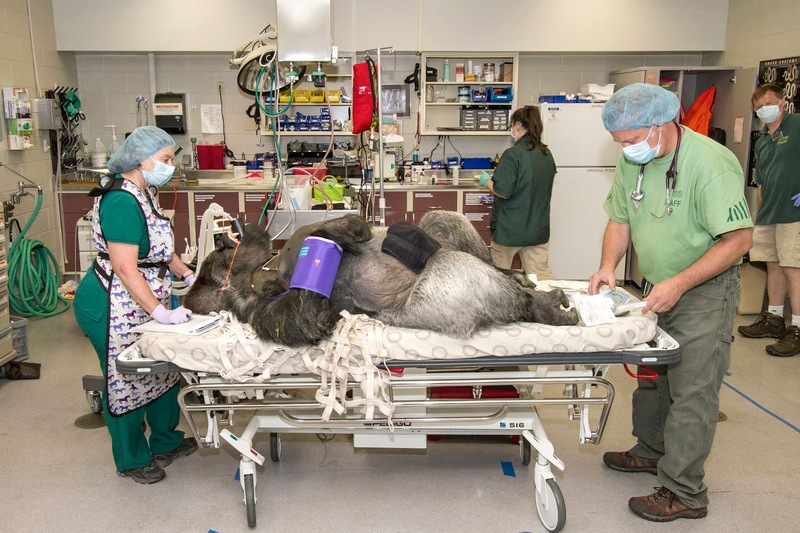 “As part of our commitment to saving wildlife, including species recovery in the Pacific Northwest, we are dedicated to ensuring exemplary animal welfare and to providing a home for young goats to ensure their chances of survivability,” said Dr. Jennifer Pramuk, an animal curator at Woodland Park Zoo. 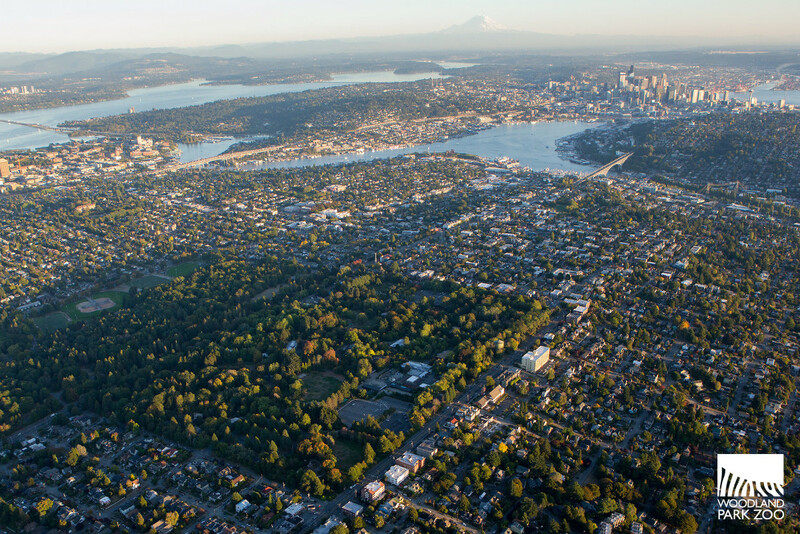 Photo courtesy of Northwest Trek Wildlife Park. By late Thursday, four male kids without identifiable mothers had been taken to Northwest Trek. Zoo officials have not determined where these particular goat kids will live long-term. Northwest Trek can provide a permanent home for up to five goat kids; Woodland Park Zoo can care for up to two. This effort to translocate mountain goats from the Olympic Peninsula is a partnership between the National Park Service (NPS), the Washington Department of Fish & Wildlife (WDFW), and the USDA Forest Service (USFS) to re-establish and assist in connecting depleted populations of mountain goats in the Washington Cascades. Mountain goats were introduced to the Olympics in the 1920s. Area tribes lending support to the translocation plan in the Cascades include the Lummi, Muckleshoot, Sauk-Suiattle, Stillaguamish, Suquamish, Swinomish, Tulalip, and Upper Skagit. This month’s two-week effort to move mountain goats to native habitat in the northern Cascades is the first translocation operation. Additional efforts are planned next year. In India’s Manas National Park, the greater one-horned rhino population was once poached to extinction. But now rhinos are getting a second chance there. So are the people of Manas. This is the community leading the cause: to look out for rhinos. Video | Rhino Lookout: A Second Chance for Rhinos. “Poachers target the rhino because of its horn. Horn earns a lot of money in the international market,” explains Bibhab Talukdar, Asia Coordinator of the International Rhino Foundation, Woodland Park Zoo’s rhino conservation partner in India. Rhino horn is illegally traded mainly for use in traditional medicines, though it has no medicinal value. It is made of keratin. So are toenails. The rhino’s horn can grow between 8 and 25 inches. A brighter future requires bold vision. 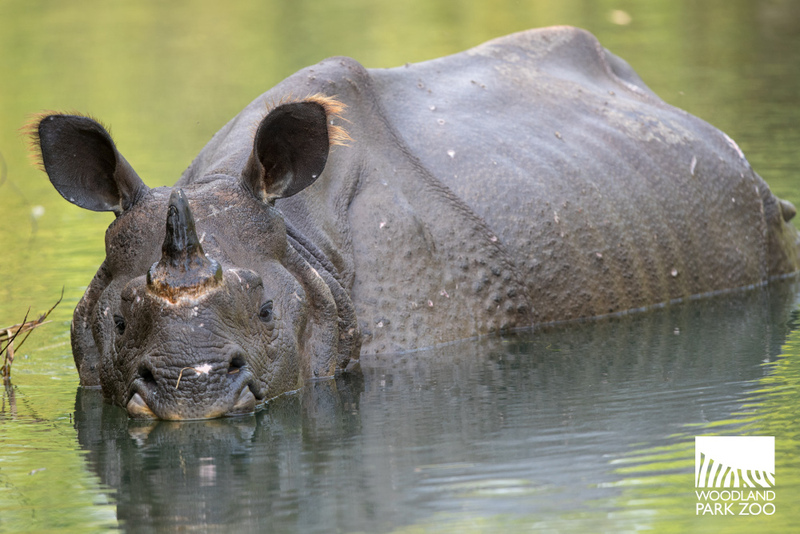 Woodland Park Zoo has joined International Rhino Foundation, the Indian government and their partners to support Indian Rhino Vision 2020—an effort to build stable rhino populations across the northeastern state of Assam. 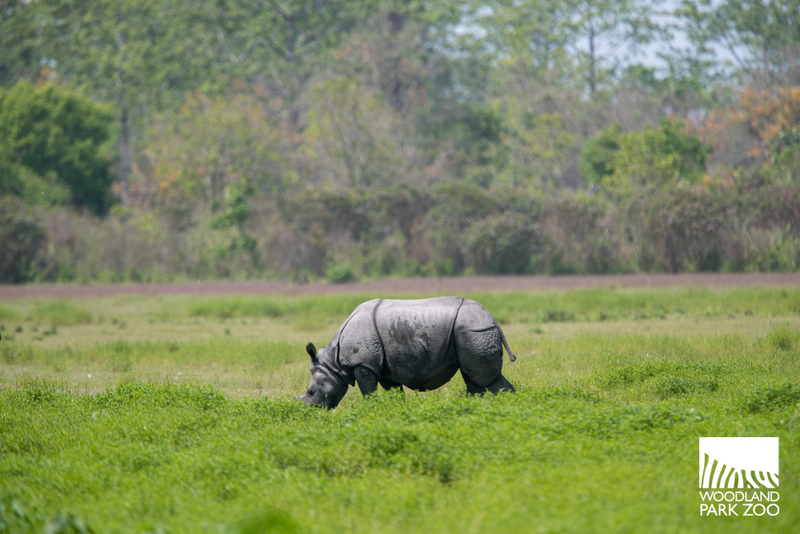 Over the past decade, these partners have moved rhinos to Manas from nearby parks where populations are increasing. 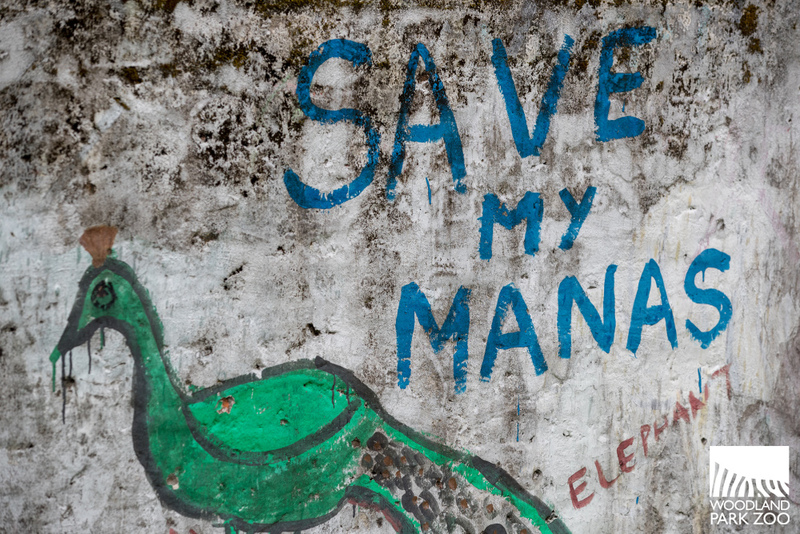 One by one, rhinos are returning to Manas, and a new generation is taking hold. 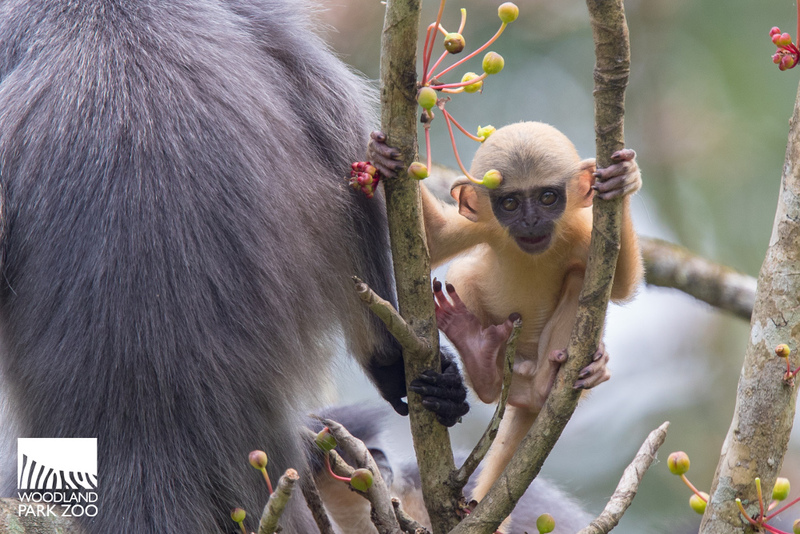 The population is now up to 30 – 35 individuals. Yet the threat of poaching remains. 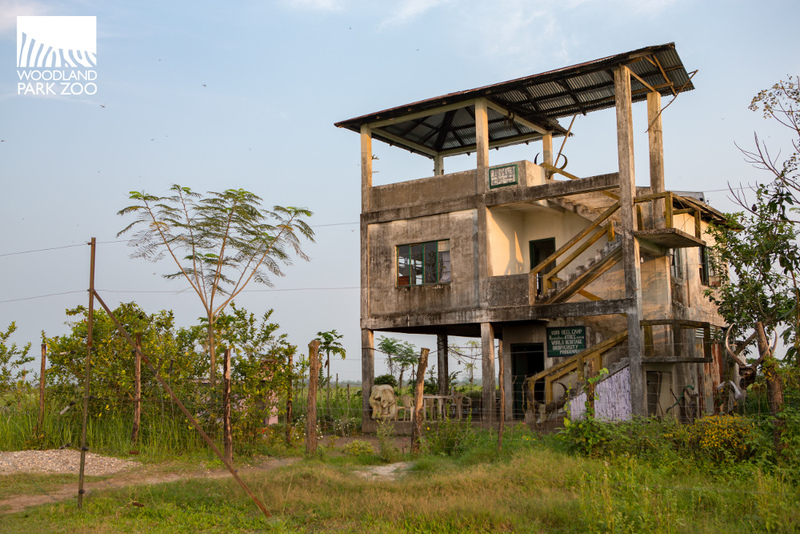 The watchtower at Kuri Beel anti-poaching camp in Manas National Park. Forest guards stationed across dozens of anti-poaching camps inside Manas National Park are the first line of defense for wildlife. On foot and by elephant back, they look for signs of poachers and illegal activity. Courage comes from another source, too. “Manas is successful. We cannot say that it is only from our level. We get help and courage from our neighbors. 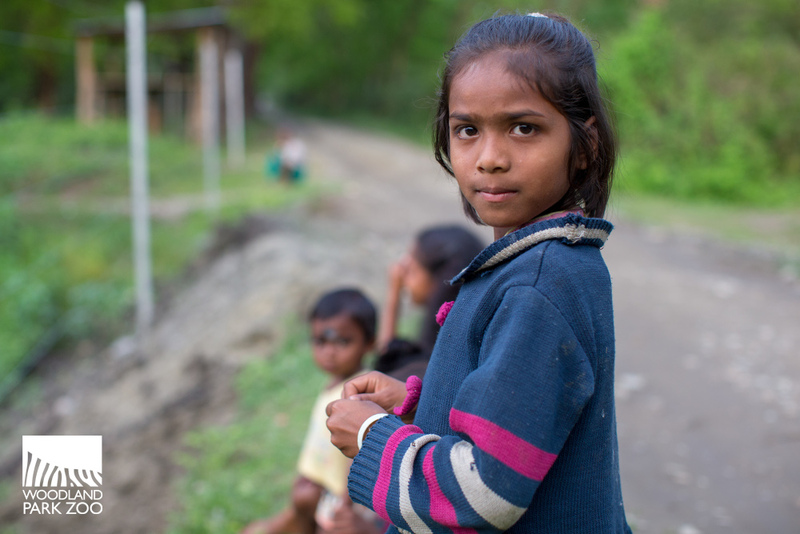 That means the villagers,” says Mr. Sarkar, a Manas range officer. “The common people, the communities do help. We have a local council that is showing deep interest in the protection of rhinos and other animals,” adds Bibhab. 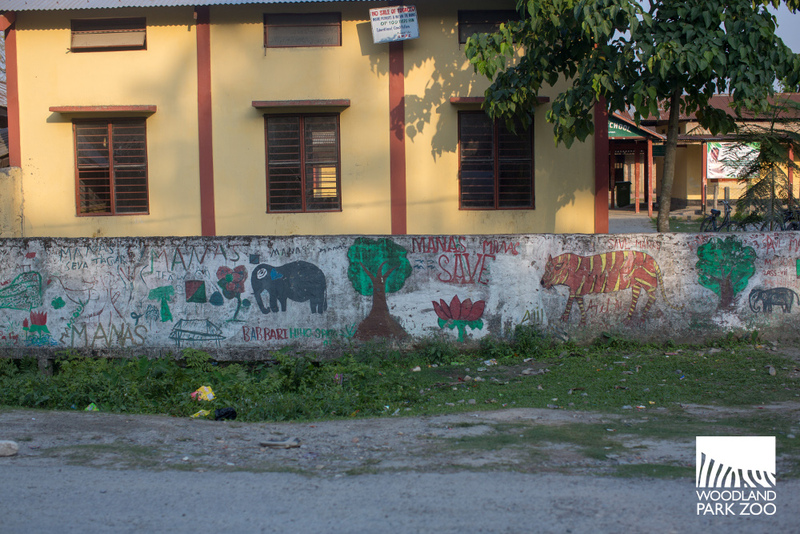 Painted by the hands of schoolchildren, a mural shows pride of and commitment to the wildlife of Manas National Park. According to one of these ex-poachers-turned-Service-Provider, a sustainable livelihood made from coexisting with wildlife instead of exploiting wildlife provides more stability not just for him, but for the community as a whole. “We are feeling great because things are improving and our future generation can see rhino,” he tells us. Students pass a rhino mural on their way into class. 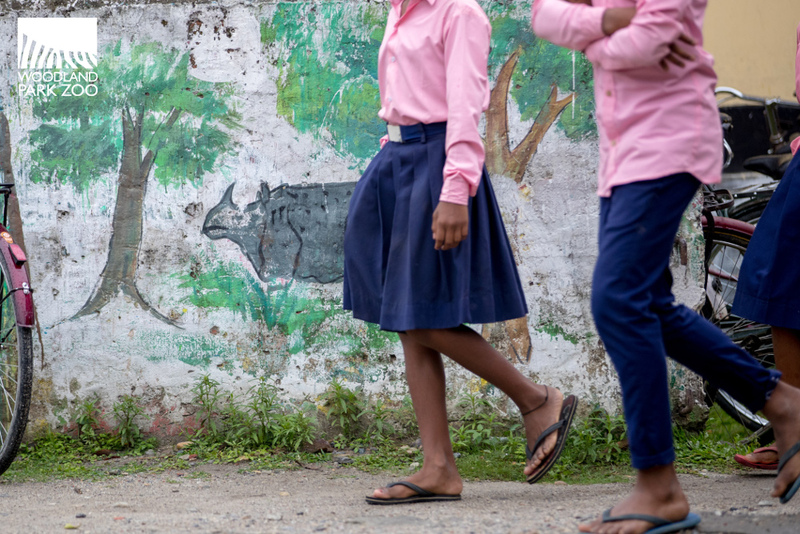 The youngest schoolchildren here have never known a Manas without rhinos thanks to these collaborative conservation efforts. Still, education programs supported by International Rhino Foundation help them understand their local wildlife is not something to take for granted. “Students are the future. They have to take the responsibility of conservation to carry it forward,” says Bibhab. Across 63 public schools in the fringe villages of Manas, schoolchildren make an oath to conservation every morning, pledging to protect Manas National Park. 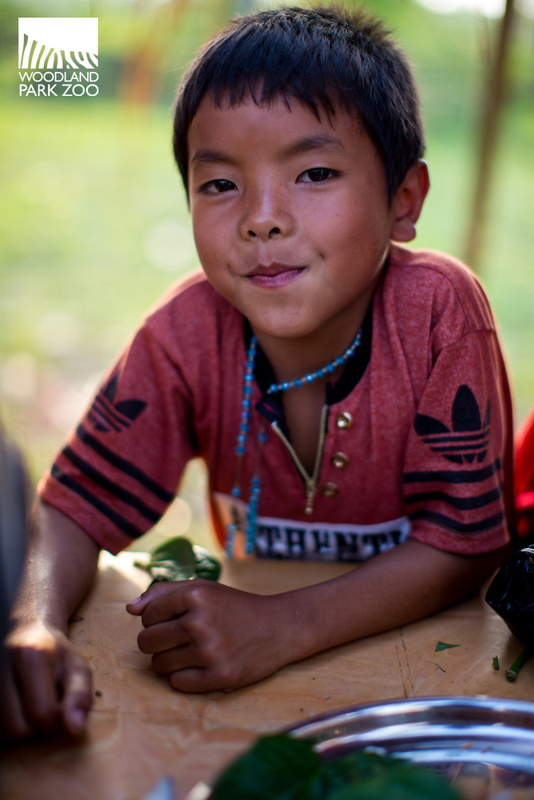 Their voices come together each day in unison, and their meaning is heard far beyond school walls: rhinos will always have a home in Manas. High school students gather before class begins in Manas. Once, rhinos went locally extinct in Manas when no one was watching. Now, the people of Manas, the government of India, partners like the International Rhino Foundation, supporters of Woodland Park Zoo, and rhino lovers everywhere have come together around a movement to do more than see rhinos—together, we’re looking out for them. 2, 4, 6, 8, who do we appreciate? Vultures, like Modoc! 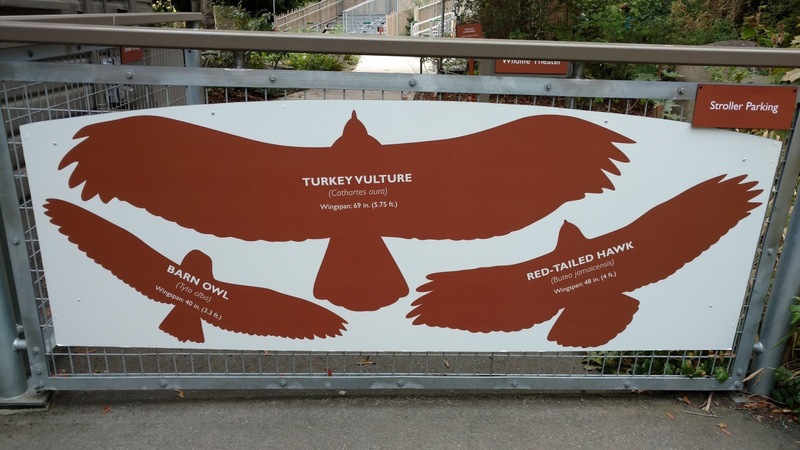 Saturday, September 1st is officially Vulture Awareness Day! Modoc is a very special vulture! 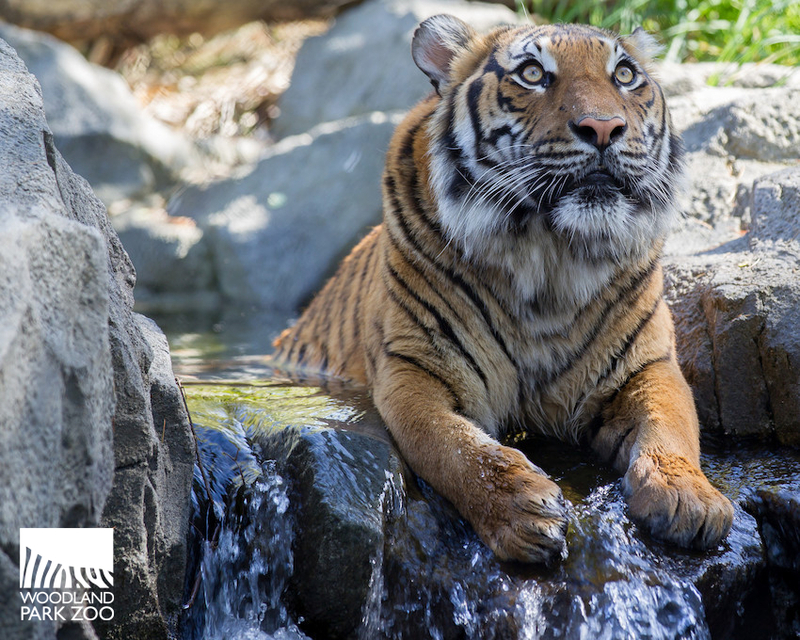 Photo by Jeremy Dwyer-Lindgren/Woodland Park Zoo. 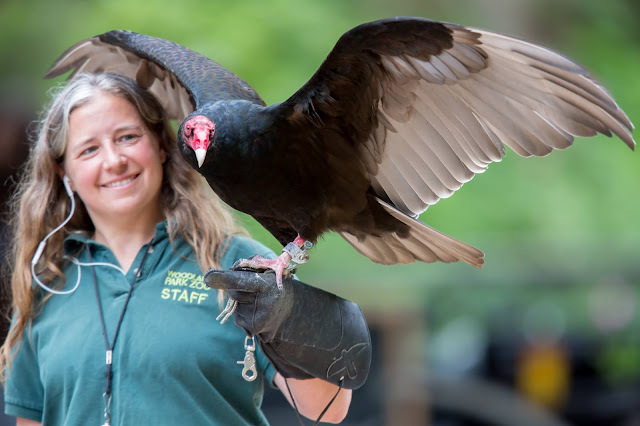 At Woodland Park Zoo, we appreciate vultures like Modoc, our 32-year old turkey vulture, every day! Why? Because vultures all over the world help keep our ecosystems healthy and clean. Vultures don’t hunt live prey. They’re mostly scavengers that feed on dead animals which would otherwise rot. The acids in their stomach are so strong that they can neutralize all kinds of dangerous germs and bacteria—which helps minimize the spread of disease to other animals and to people. Featherless or lightly feathered heads help vultures, like Modoc, keep clean while feeding on carcasses. 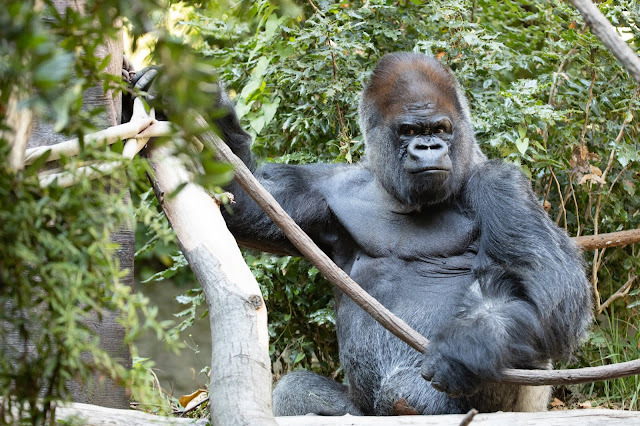 Photo by Elizabeth Bacher/Woodland Park Zoo. Even though it might not look like it at first glance, vultures are also role models for good hygiene! 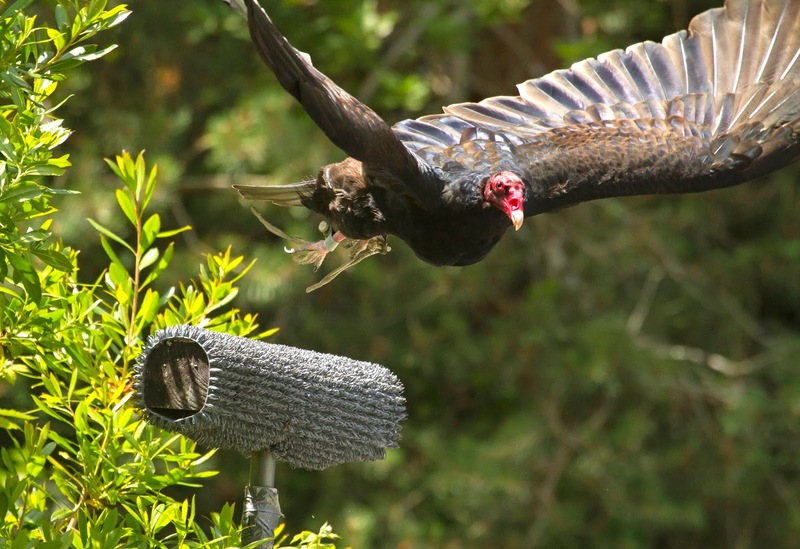 Carcasses can be messy, so featherless or lightly feathered heads and necks help to keep them clean as they feed. Some vultures actually urinate on their own legs. Yeah, it sounds a little gross, but scientists think it is actually a defense against disease. Acids in the bird’s urine likely kill off any harmful bacteria they may have picked up while standing on dead rotting animals to feed. Vultures are also super smart. Tool use was once seen as something only humans were capable of, as this skill shows a higher level of intelligence and problem-solving ability. Now we know that there are quite a few animals that also have this ability, like chimpanzees, elephants and sea otters to name a few. And our feathered friends are no exception. Research has found that birds like crows and some parrots are capable of tool use. 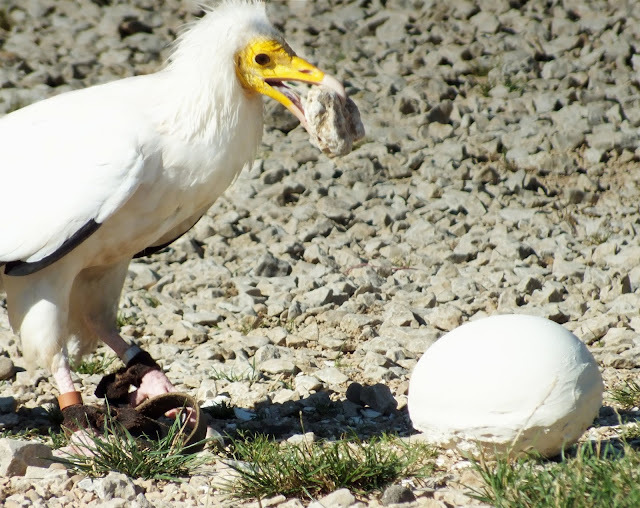 The Egyptian vulture has been observed to use pebbles and rocks to break open large eggs of other birds, which they occasionally feed on. Perhaps it’s time to rethink the definition of “bird-brained”? 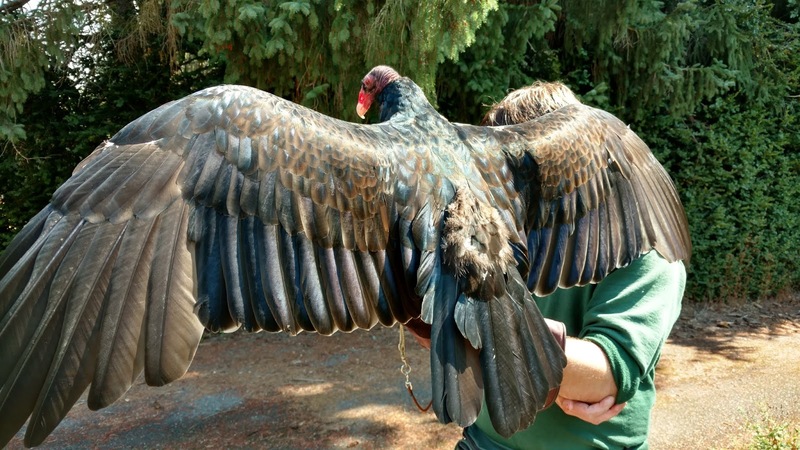 Finally, when it comes to wingspan, vultures are among the kings of the sky! Turkey vultures, like Modoc, can have a wingspan that is nearly 6 feet wide. 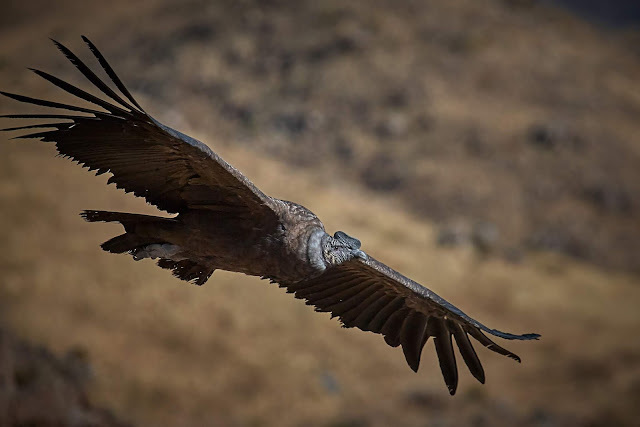 But some of the other vulture species—including condors, which are a kind of vulture—make the top ten list for largest wingspans of all flying birds alive today. The Andean condor, for instance, can have a wingspan of more than 10 feet wide! The only flying birds that can beat that are a couple species of albatross and pelican. 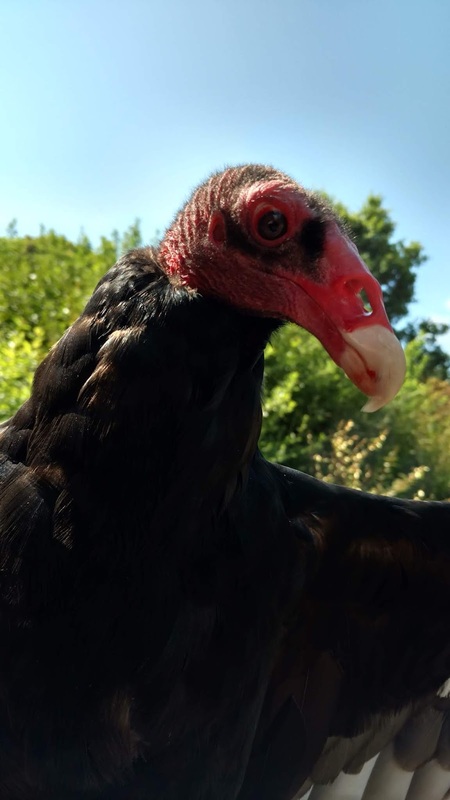 As a whole, vultures, including condors, have experienced dramatic population declines in the last few decades. This is happening all over the world in many varied ecosystems where vultures live and has driven many species to near extinction. 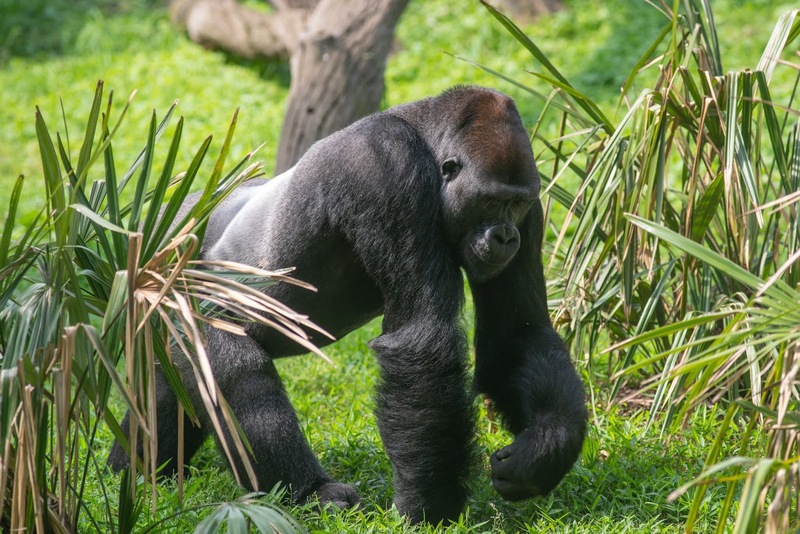 One of the primary causes, other than poaching and general habitat loss, is dietary toxins. This includes everything from chemicals, pesticides and veterinary drugs that vultures ingest when they feed on carcasses of animals that were recently treated, to lead pieces which are left over in carcasses of animals that were shot by hunters. But hope is not lost. Many countries, including the U.S., are making efforts to prevent these toxins from entering the food chain by regulating the use of certain chemicals and by promoting alternatives to lead shot for used hunting.